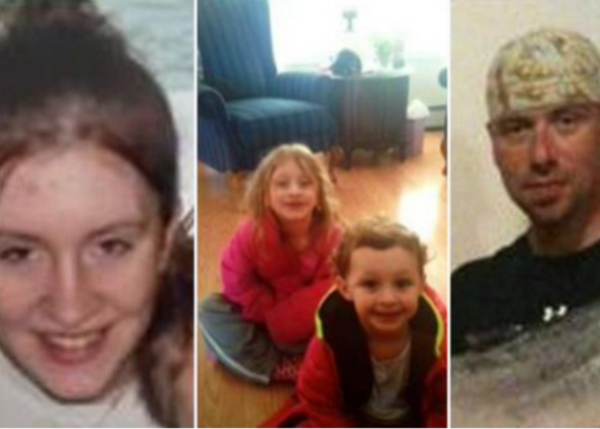 A nearly year-long search for an American family of four has come to an end. The bodies of the family and that of their dog have been found beside a footpath. The family, of Kenai in Alaska, was last seen in May last year. A passerby who first noticed clothes, found the bodies of Rebecca Adams (23), her boyfriend, Brandon Jividen (38), and Rebecca’s two daughters, Michelle (6) and Jaracca (3), about 800 m from their home. Although it hasn’t been confirmed, it seems one member of the family shot the others – and the dog – then shot himself or herself. A handgun was found on the scene.